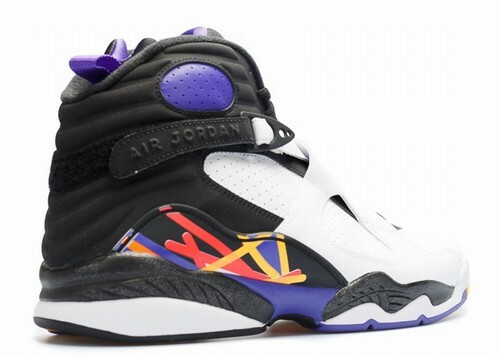 Michael Jordan completed his first perfect three-peat back in 1993 against long-time friend Charles Barkley and his Phoenix Suns squad. The Bulls would cement their place in history with one of the greatest runs of all time before Mike first called it quits. 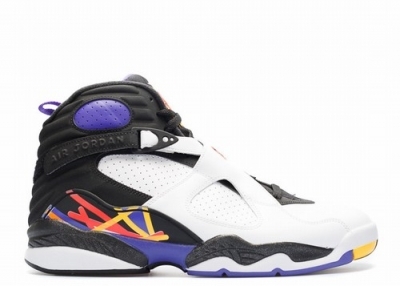 He would go on to win the MVP of that Finals wearing the Air Jordan 8 despite having foot problems that had designers at Nike suggest a different shoe. 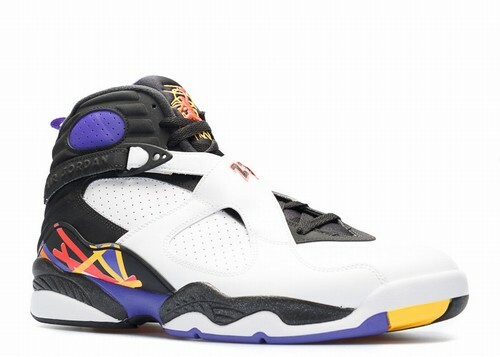 Now nearly 23 years later Jordan Brand presents the Air Jordan 8 "Three-Peat" slated to release on October 24th. 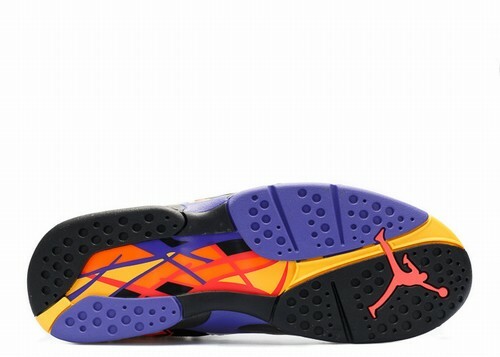 The pair utilizes the three accent colors of the defeated squads ranging from the Lakers, Blazers, and Suns. What results is a clean white leather base while contrasting black allows for the bright accent colors to shine.